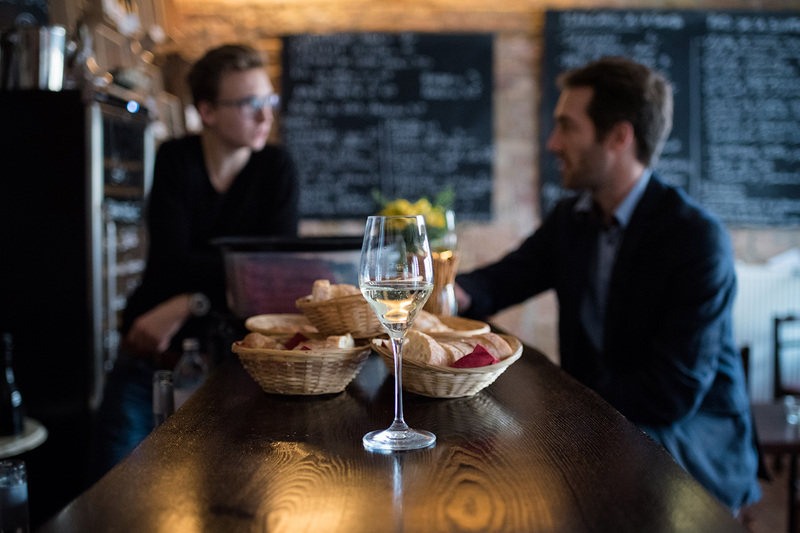 One of my favourite French restaurants where I like to have a glass a wine with truly authentic French cuisine is La Buvette in Prenzlauer Berg. 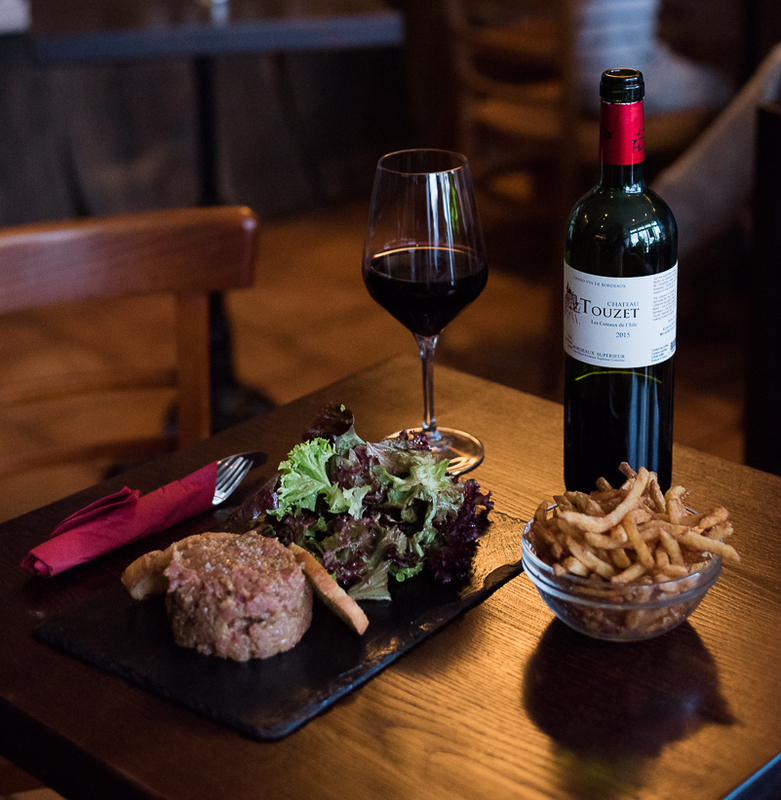 It’s a very friendly, cosy yet simple French Bistro where you can eat traditional food like a « Steak Tartare » (minced raw beef with onions, capers, mustard, pepper and other seasonings) or a rump steak with delicious home-made French fries and end with a molten chocolate cake. Another French restaurant where I enjoy going is la Bonne Franquette close to Naturkundemuseum, for a more elaborate dinner though with dishes like salmon tartare, foie gras or snales for example (don’t miss their dark chocolate mousse for dessert). Les Valseuses is also a place to try if you like French food. 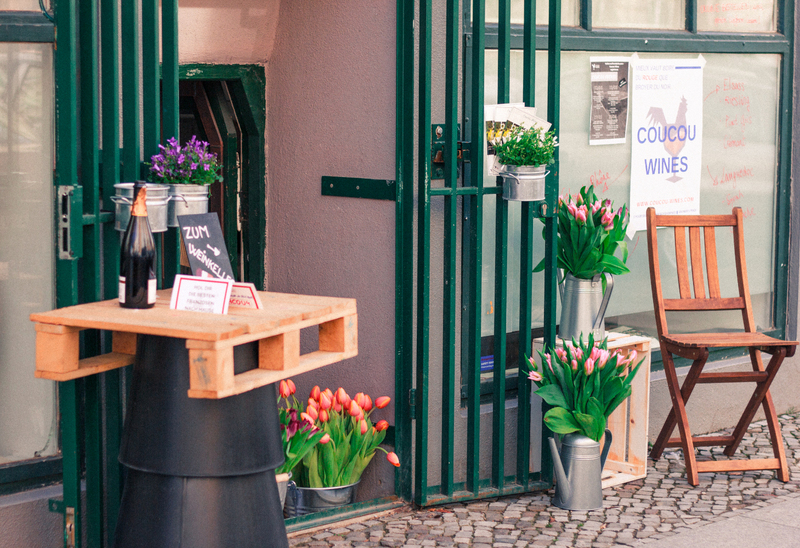 My new discovery is a small and hidden wine shop in the Zionskirchstraße called Coucou Wines. Nothing fancy, just a very good selection of natural and organic wines direclty imported from small producers for extremely reasonable prices. Passion Vin in Kreuzberg also has a good selection of French wines and not to forget the wine shop in the Galeries Lafayette. To accompany good wine, what is better than cheese? Two French guys who share a common passion for cheese opened their first cheese shop in Prenzlauer Berg in 2012, la Käserie. Don’t forget to try their Saint Félicien, a wonderful creamy cow’s milk cheese. 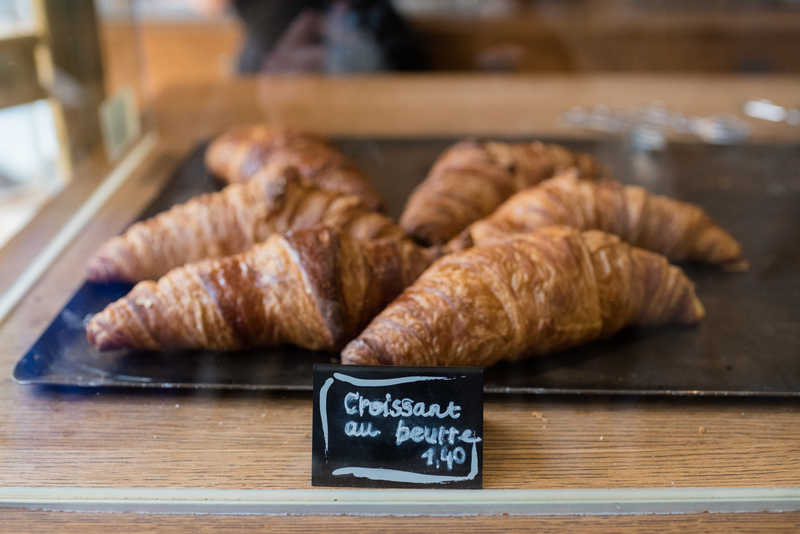 A very nice traditional French bakery with a wonderful butter croissant (with a good dose of butter, that’s how it should be 😉 ) and many typical French pastries and cakes like a strawberry cake, a “Tarte Tatin” (with caramelized apples) or an “Opera” (with many layers of chocolate, coffee and others…. very crispy, very tasteful) is called Les Patisseries de Sebastien. Another place to have delicious French cakes and pastries is Du Bonheur. The pastries are aesthetically wonderful! My favourite is the Dulcey, a dome filled with cream, caramel and peanuts. 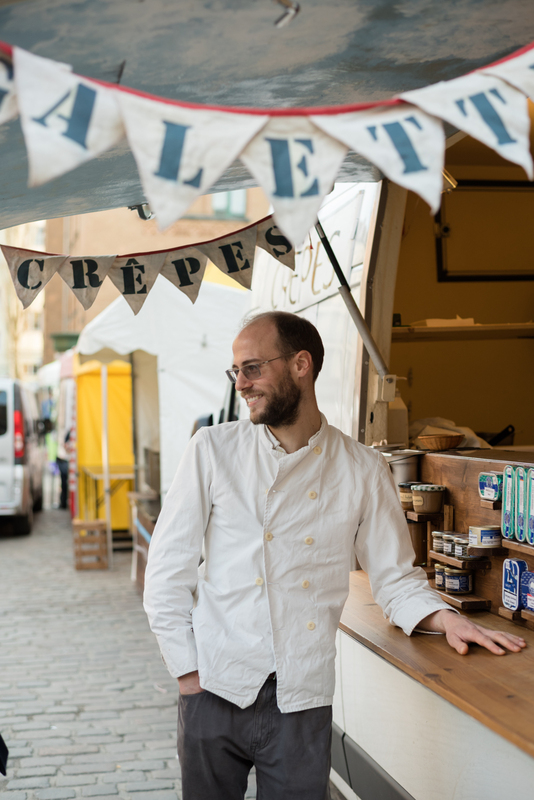 For me, the maestro of the crêpes is a man called Nicolas, who once was a lawyer but quit everything to start an apprenticeship and become a pastry chef. After this, he came to Berlin with his food truck to make crêpes and galettes (the salty crepes). You can find him in several food markets like on the Karl-August-Platz in Charlottenburg or in the Kulturbrauerei on Sundays. The highlight is his home-made salted caramel crepe which is extremely thin, crispy and very tasty. 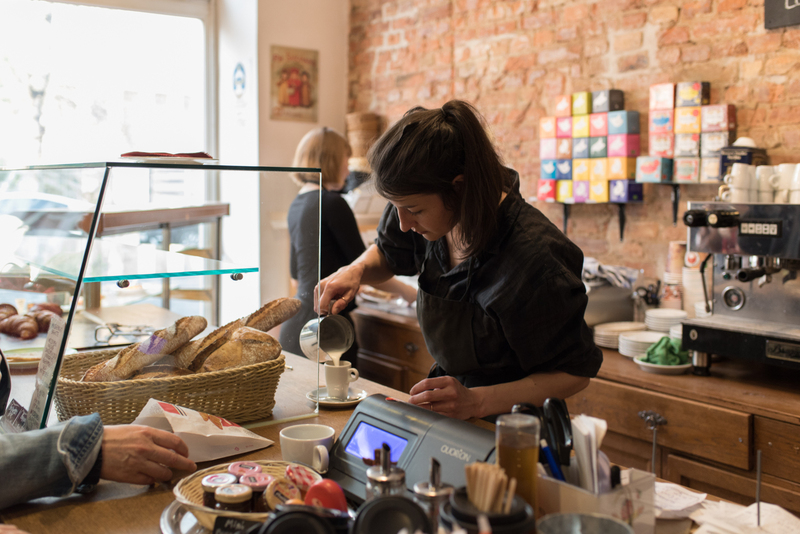 There are other creperies in Berlin which are also good like Suzette, or la Bigoudène . 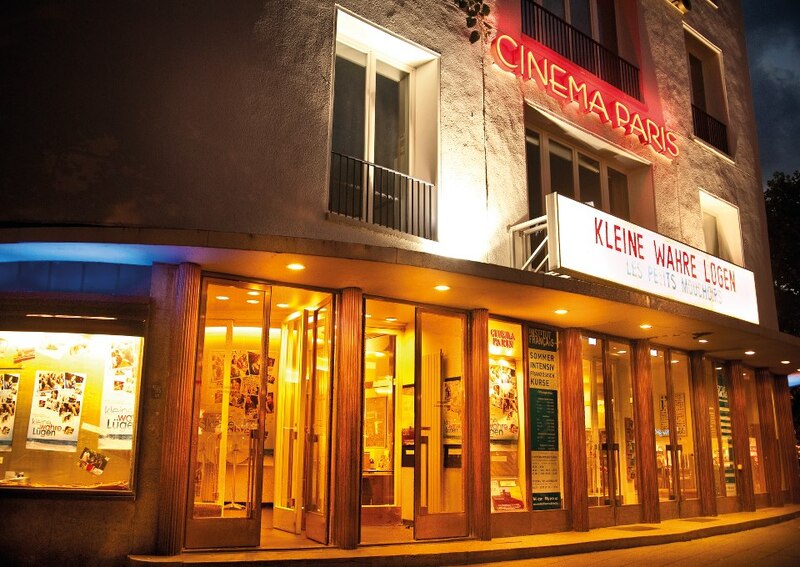 Cinema Paris, near Uhlandstrasse, offers a chance to French and European cinema lovers, to enjoy carefully picked films of great aesthetic in their original version. 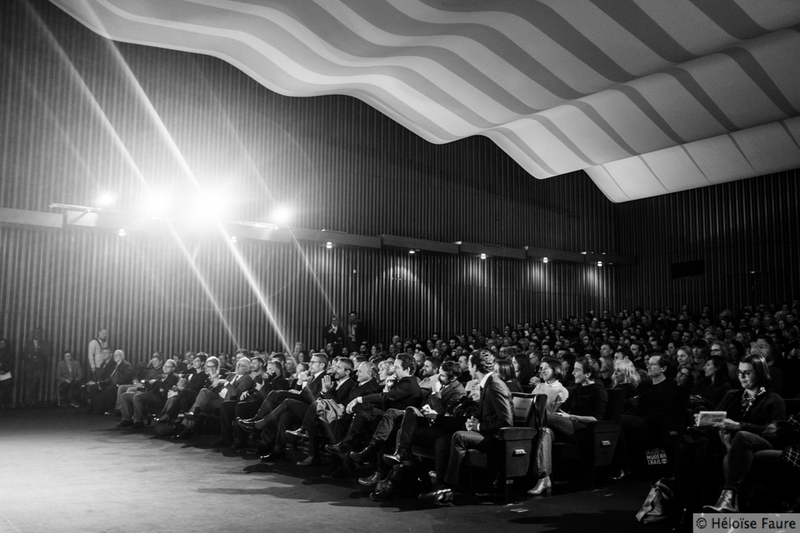 Another event of interest to French cinephiles is the Französische Filmwoche, taking place in October with a wide variety of films presented, that celebrate their writers and makers’ creativity. Jaybo Monk has been living in Berlin since 1984 and started as a street artist very early. He has been exploring many paths and ideas, varying styles and materials. About 5 years ago, I discovered one of his early paintings exhibited in Berlin inspired by the Great Wave by Hokusai in which he had replaced the foam of the wave by white gloves of Mickey Mouse, giving an impression of a never-ending attempt to catch us. He is creative, prolific and says of himself that he is «an artist at the art’s end». 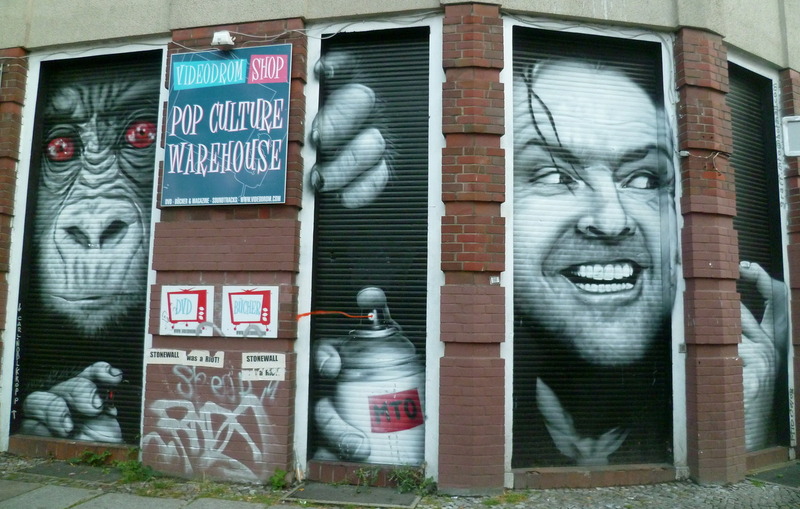 He for instance created impressive street art pieces inspired from Francis Bacon. 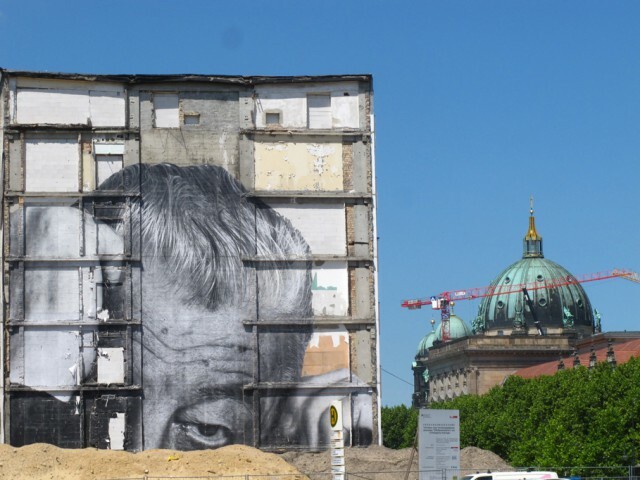 Many French street artists have left some great artworks in Berlin, like MTO, C215, JR, Sobre, SP38, Mimi the clown and many others. 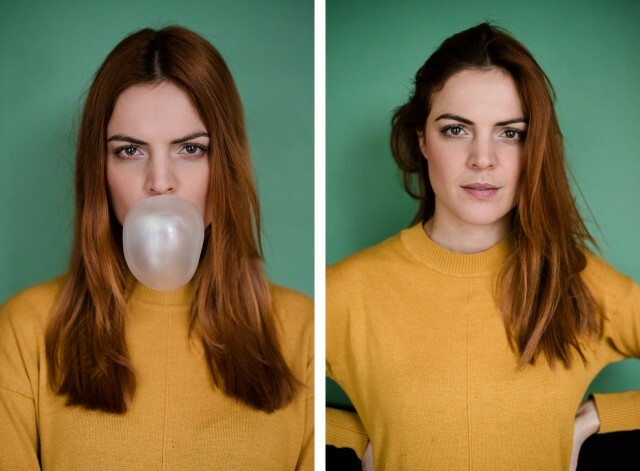 Chloé Desnoyers is a very talented French photographer who won several prizes and has been specializing in portraits. Disclaimer: Chloé helped me for this article and took the pictures of some of the places mentioned. Célia Uhalde started as a student in architecture with a passion for photography and ended up as a photographer with a passion for architecture. 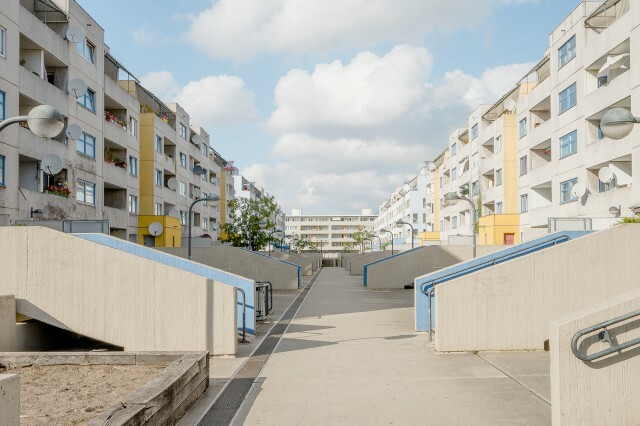 Her photographies reveal the forms and the geometry of our urban landscapes and let us discover the beauty and simplicity of order and clean lines. 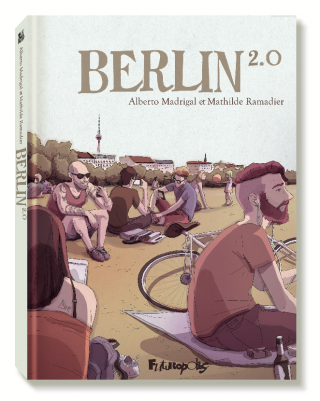 Berlin 2.0 is a graphic novel about a French girl coming to Berlin created by the French writer Mathilde Ramadier together with the illustrator Alberto Madrigal. 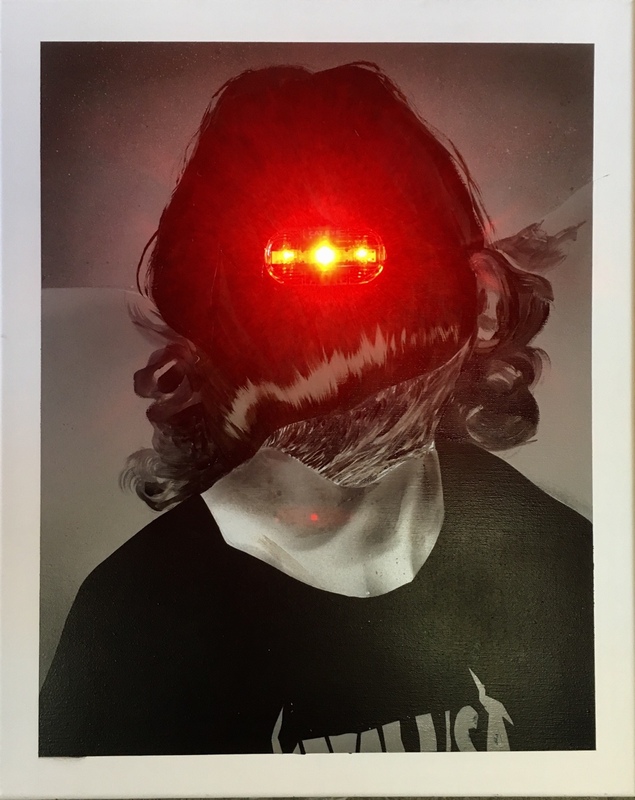 Mathilde Ramadier has been living for some years in Berlin, started working in a Berlin startup, an experience with mixed feelings that she also relates in her latest, somewhat controversial book (Bienvenue dans le nouveau monde). Jérôme has been living for almost 10 years in Berlin and seeing Berlin evolve over the years (for better or for worse). 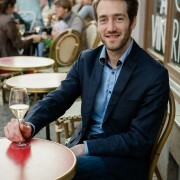 He is passionate about wine (French and German) and loves good food. He is the founder of Vescape and the mobile app development agency Creative Geeks. 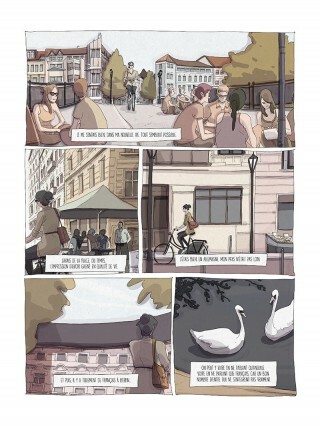 Great places but sadly the adresses mainly focus on North Berlin. There are so many amazing French places for food and drinks in Xberg and Neukölln. Maybe a second guide to complete? 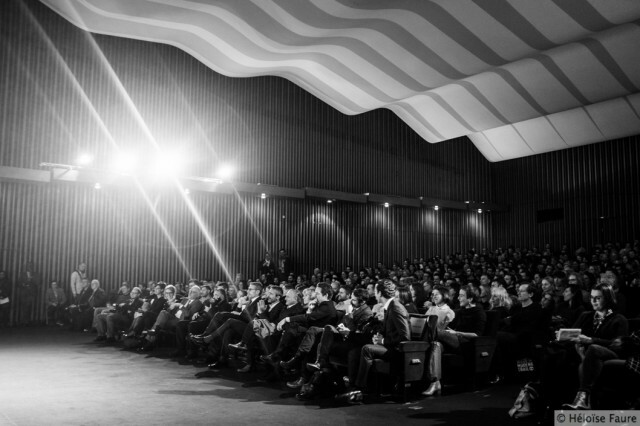 For lyonnaiseries > Le Saint Amour – MaybachUfer !